Our team is made up of over 60 members on four main subteams, about which you can read on our 'About Team 2637' page. We have a team donation and a participation donation that are turned in to the Student Store on campus. The participation donation helps offset the costs of transportation to and from competition, robot parts, and much more. Contact us for more information. 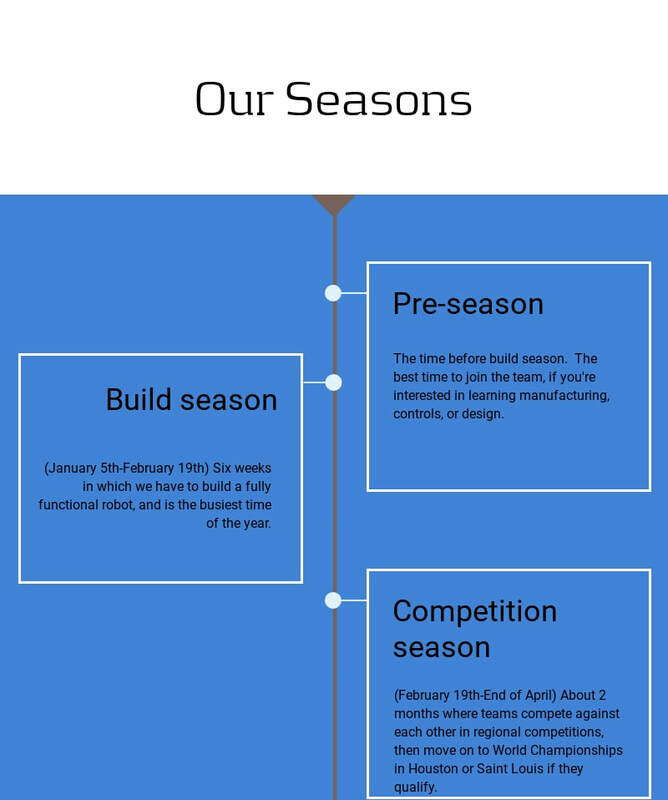 FRC has three main seasons; Pre-season, build season and competition season. Check out our calendar to see our usual schedule during the year. During build season, we meet several times a week for long hours, so be aware of the time commitment if you are interested in joining.